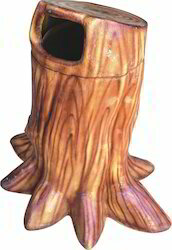 We are Manufacturer of Trunk Dust Bin in Ahmedabad, Gujarat. We are instrumental in providing a matchless collection of Plastic Bins, which is fabricated using advanced technology. These are carefully designed in various sizes, shapes and capacity as per the choices of our clients. These Plastic Bins are widely known for their durability & the resistant capacities. - We deals mainly Gujrat, Maharatha , Rajasthan. Available Color: Red, Blue, Green, Grey, Yellow etc. Color: Different shades of orange, blue, pink, green, cream.